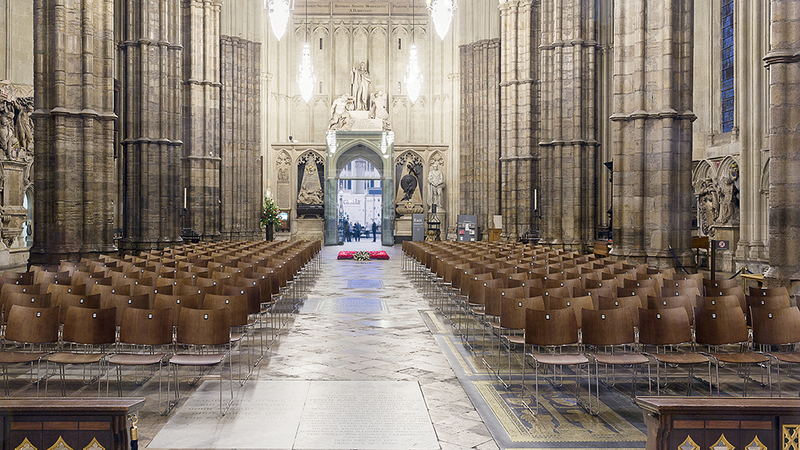 When Westminster Abbey were looking for a functional chair that fitted in with the venue’s aesthetics, a CRE 2018 exhibitor took up the challenge. The outside of the backrest is engraved with the abbey’s crest. Subtle bump rubbers on both sides of the frame, and sound-stack protection mounted on the underside of the seat, reduce sound during set up, storage and stacking procedures as well as when they are in use during services and ceremonies. The transport dolly has a storage capacity for 90 chairs. Because of their heavy weight in combination with an uneven floor, castors with a large diameter help to move the transport dolly easily.